The Jallianwala Bagh massacre took place on 13th April 1919 in Jallianwala Bagh in Amritsar, Punjab, when troops of the British Indian Army started firing into a peaceful public gathering on the command of Colonel Reginald Dyer. What really happened in Jallianwala Bagh massacre in 1919? Thousands of people were gathered at Jallianwala Bagh on 13 April 1919 to celebrate Baisakhi. This day marks the beginning of New Year for the Sikhs and is also celebrated like a festival in Punjab. On the morning of Baisakhi, Colonel Reginald Dyer implemented a curfew in Amritsar and banned all processions even prohibiting a group of 4 or more people to meet publicly. By mid-day, the place was full with traders, farmers, and the devotees of Harmandir Sahib who visited Amritsar to enjoy the festival. Jallianwala Bagh had 10 feet high boundary walls on all sides and was approached only through narrow entrance lanes, which Dyer got locked. General Dyer arrived there with armed troops blocking the main entrance that was also guarded by the armed troops. On Dyer’s orders, the army started ruthless firing on the uninformed & innocent crowd. There were about 25,000 people present at the time of firing. Some tried to escape while some jumped in the well built in the premises of Jallianwala Bagh. The troops were ordered to start shooting from the most densely crowded spot so that maximum number of people could be killed. Firing continued for about 10 minutes and ended when the bullets were almost over. The dead bodies could not even be moved out due to the curfew implemented. The main motive of Colonel Dyer was not just to disperse the gathering, but to punish the Indians for disobeying his orders. More than 1000 peoples died in the massacre and about 120 dead bodies were recovered from the well. A trust was founded in 1920 to build a memorial site at Jallianwala Bagh in order to remember the significance of this place in the history of India. American architect, Benjamin Polk, built the memorial on site which was inaugurated by the then President of India, Rajendra Prasad on 13 April 1961. The monument exhibits the bullet marks on its walls and depicts the pain and suffering of the people that were present that day. Jallianwala Bagh massacre caused the required escalation to the Indian freedom movement, which ultimately led to the fall of the British Empire. 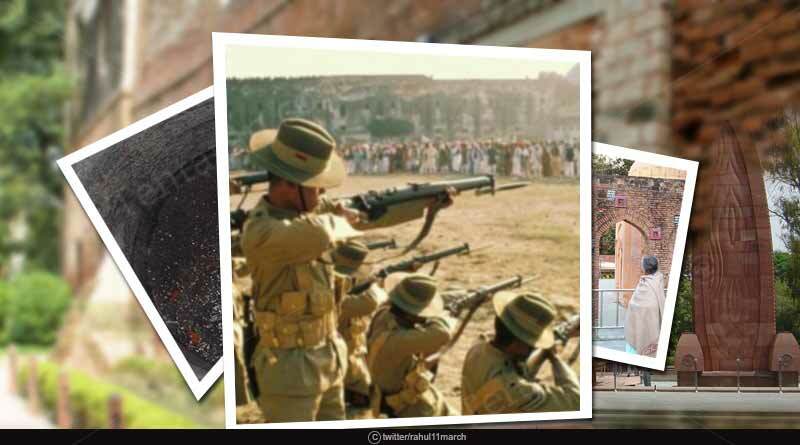 For more articles like ‘Jallianwala Bagh massacre’ do follow us on Facebook, Twitter, and Instagram.